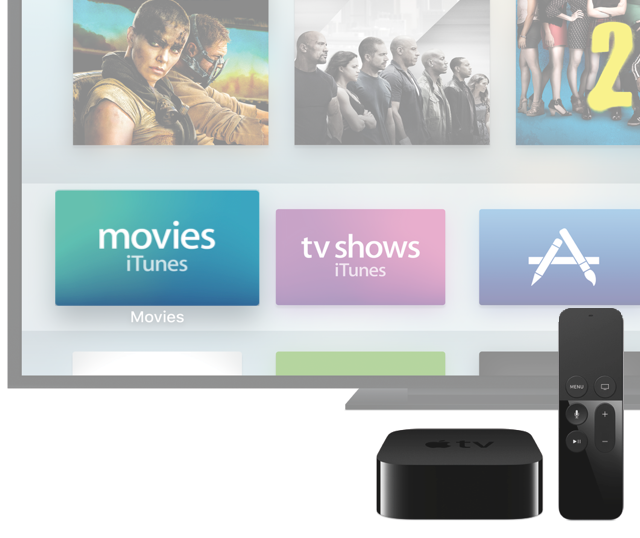 One of the biggest things that sets tvOS apart from iOS is the Focus Engine. Today we'll check out what it does, how it works, and how we can interact with it in our apps. Let's get started. The Focus Engine is the part of tvOS that manages which view the user is currently focused on in tvOS's interface, as well as moving to another view when the user performs a gesture on their remote (or a game controller). We get all of this functionality "for free", as long as we're using UIKit controls to construct the UI of our apps. The Focus Engine will listen for a user's input like a left swipe, then it will look for views that are currently to the left on screen of the currently focused view, and move focus to them. For many apps, that's really all there is to it. 1.) Construct our UI, 2.) Focus Engine handles it all. We can update the currently focused view in a similar way to how make layout changes on iOS. First we override the preferredFocusView property on our UIViewController, then we call setNeedsFocusUpdate. (Only works if the view controller already contains the currently focused view). We can have the system ask us if it's ok to make a proposed focus change. For this we'd implement shouldUpdateFocusInContent on our view controllers, answering ‘yes' or ‘no'. Lastly, we can use the didUpdateFocusInContext function to (for example) animate our custom views alongside the system's animations.